Some of the best horror titles that have come out in recent memory have been in the indie spectrum. We’ve had titles like Amnesia: The Dark Decent and Outlast use the first-person perspective with a lack of weapons to further gauge horror. Jasper Byrne took a pixel-art approach to make something akin to a Silent Hill in 2D. This lies the greatness that is Lone Survivor. While it has been out since 2012, Curve Studios, the excellent developer behind ports of Thomas Was Alone and their original Stealth Inc. were under the task of bringing this title over to PS3 and Vita. This results not only in just a stellar port but they’ve brought in more items and features that deem it worthy of its Director’s Cut subtitle. As Lone Survivor begins, you play a character stuck in a haunted apartment. It’s a wasteland outside. You’re low on food and you have a lack of any real social contact with others. But in order to survive, you must go outside your apartment and face the real world. A world with danger all around where anything around the corner could make a horrifying scream or just decrepit steps. You’re alone and you must survive, hence the title. The monsters in the game aren’t so descriptive, just wads of flesh with crab-like hands, which makes it all the more horrifying. You’ll notice them from far away, and if you’re in the darkness they won’t notice you. But the second you’re out, the whirring scream begins and, especially if you’re listening to it through headphones, the adrenaline starts to hit you. Hiding from enemies is your best bet from enemies and using rotten meat to lure your enemies. You’ll obtain a gun and the aiming feels similar to classic survival horror titles with the up/middle/down aiming. But be wise with your bullets since they’re very sparse. Searching the apartment building for items nearby will help you progress. For example, you have a stove in your apartment but no gas to heat it up. Find one and that frozen piece of meat is finally delectable. Combine it with more items to create a gourmet meal, something that’s hard to find or make in these apocalyptic atmosphere. New additions for the PS3/Vita version include Vita specific touchscreen inventory. It’s super helpful to bring up your inventory and with easy taps, you’re able to switch out your batteries easily and thoroughly. There’s also a slew of new items in this director’s cut. While I didn’t get too far in the original title to notice, the fans out there will find some new things to enjoy. These include new ways to solve puzzles, in addition to new endings. Even if you feel like you missed something in the title, Lone Survivor becomes instantly replayable not because it’s good but also because of New Game+. You’re not just starting over a new game with all your old items but things have changed in the game. There’s changes that’ll modify the story to changes in the puzzles. Even after being scared out of my brain, I already want to start a New Game+ to see how the end takes shape in a different playthrough. It’ll only take you about four to six hours to complete. If there’s one knock against the title, it might be that it’ll take a little while to get used to the physics. Sometimes, I’d forget where doors are either in front of me or behind me. You’ll get used to it so it’s a very minor annoyance but something to watch out for. Just always consult your map and you’ll be fine in no time. Well, except for the impending doom feeling you’ll have over you. 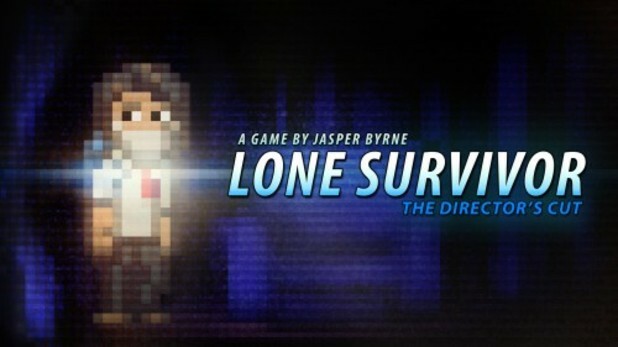 If you’re a fan of survival horror or horror games in general, Jasper Byrne’s Lone Survivor is excellent. PC users may feel out in the dirt with the of the new additions but they’ll be coming to PC sometime later this year. PS3 and PS Vita players will have a great time with it. But remember to turn of all the lights when you play and with the Vita, get some headphones and crank up the volume. The immersion will settle in and you’re in for a truly stressful horror experience.